My little sister is expecting a baby girl in December. It is so exciting because our babies will only be six months apart. Growing up I was very close with all of my cousins. They were definitely my best friends. Having that bond with family is the BEST so I’m excited our kids will get to experience it too. 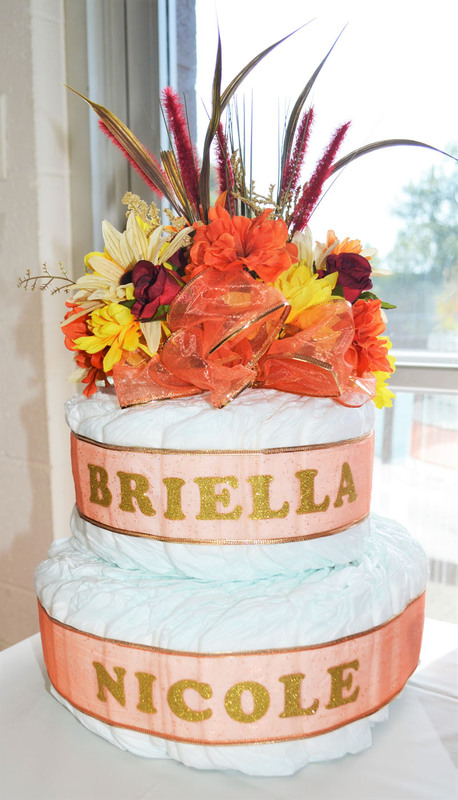 Anyways, for her shower we decided to do a “fall” theme since it would take place in October. Fall is the best time of year here in Michigan after all :). 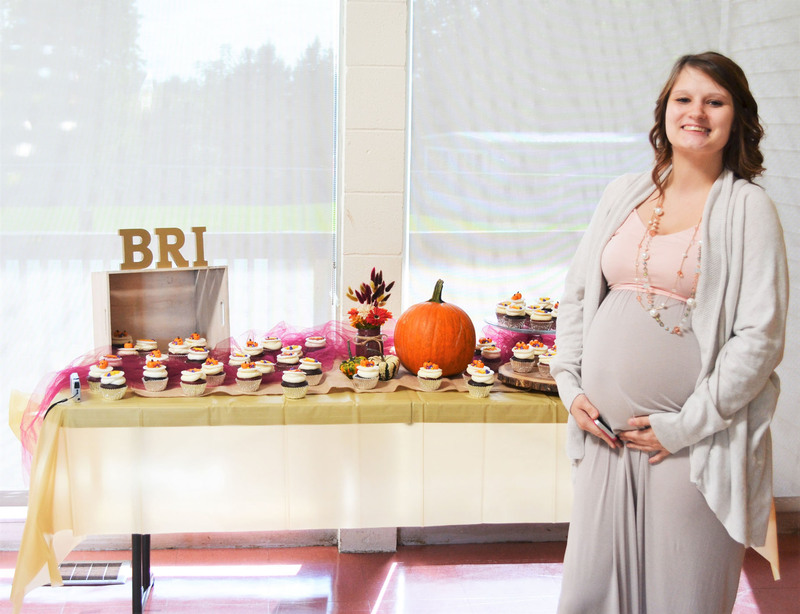 Surprisingly enough, there isn’t a ton of fall baby shower ideas on Pinterest but I did find a few! I found this invitation off Etsy from the shop Nestling Design. It was perfect for our theme and I just had to have it. 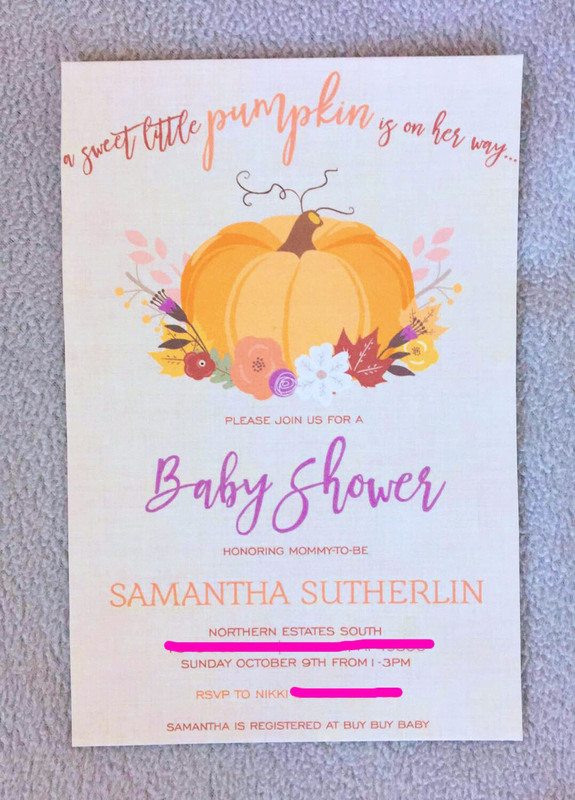 She was easy to work with and I received my printable invite the very next day. 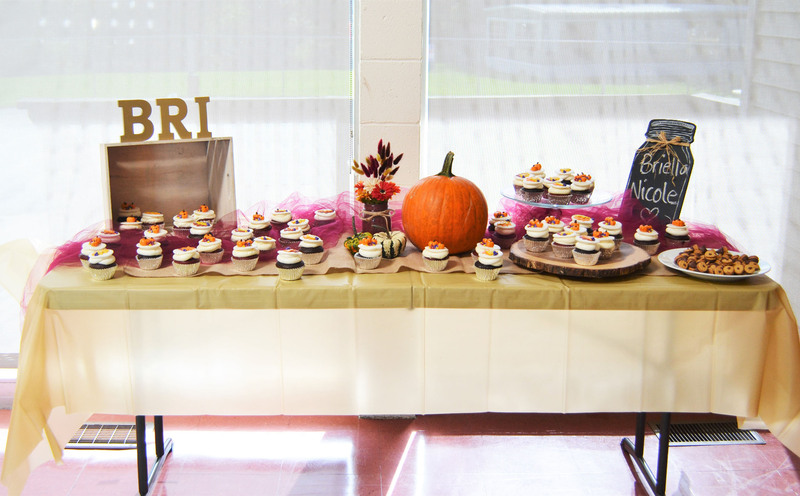 I feel like the cake table is always the focal point of any party. 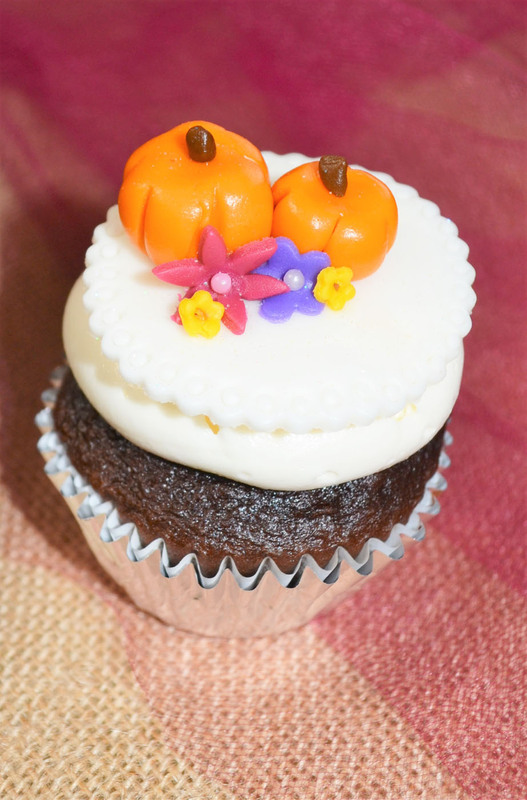 So I wanted to get the cutest cupcakes for it! Blue Girl Cakery is AMAZING. 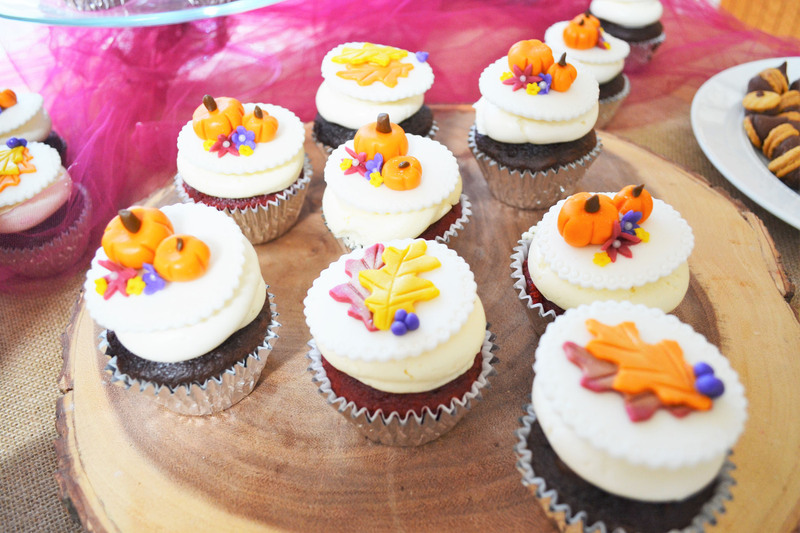 She created these red velvet and chocolate cupcakes for us. Every time I order from her, I get so many compliments about how tasty the cakes are. 🙂 Seriously the tiny pumpkins? HEART EYES! 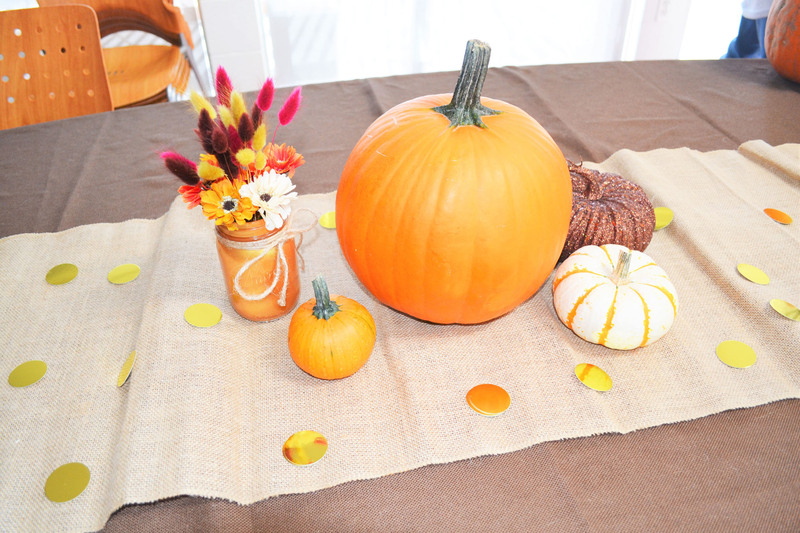 For the table décor, we decided to keep it simple with a burlap runner and more pumpkins. I made the mason jar flower bouquets, using a few items from Hobby Lobby. They were so simple! I will put the instructions at the bottom of this post. 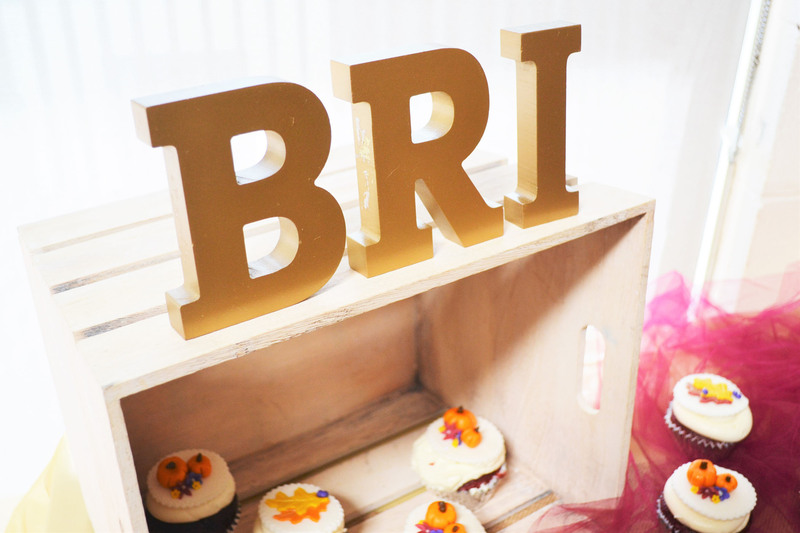 So, I wanted to put on here something that I believe EVERY baby shower should have. That is a diaper raffle! I have had a raffle at both of my showers and have received a TON of diapers. Currently my babies are 14 weeks old and I haven’t had to buy a pack of diapers yet (AND I HAVE TWINS!). This is a MUST DO at your shower. I simply included in the invitation that if a guest brings a pack of diapers, they will be entered into a drawing to win a prize. You could put together a large gift basket or simply a gift card for the winner. You will be surprised how many people will bring a pack. Side note: if you receive too much of a certain size diaper, you can exchange at almost any major store. I have exchanged at Walmart, Target and Meijer. This is my sister! She has only a couple months left before we get to meet that beautiful baby girl! Our family is growing fast but we absolutely love it! Need: 1. mason jars (I used one per table. You can also get any size depending how you want it to look) 2. Paint (I used three different colors, burgundy, brown and gold) 3. Paintbrush 4. Twine 5. Flowers (I used fake ones from Hobby Lobby. Grab a couple different varieties). Assembly: Use the paint on the INSIDE of the mason jar. I found it easiest to dump paint and roll it around until the inside was mostly covered then use the paintbrush to go over spots you missed. Let it dry completely. Arrange your flowers how you want. I found I liked long “feathery” type pieces in the middle and the other flowers around it. Tie your twine around it! It is the most simple DIY project ever! 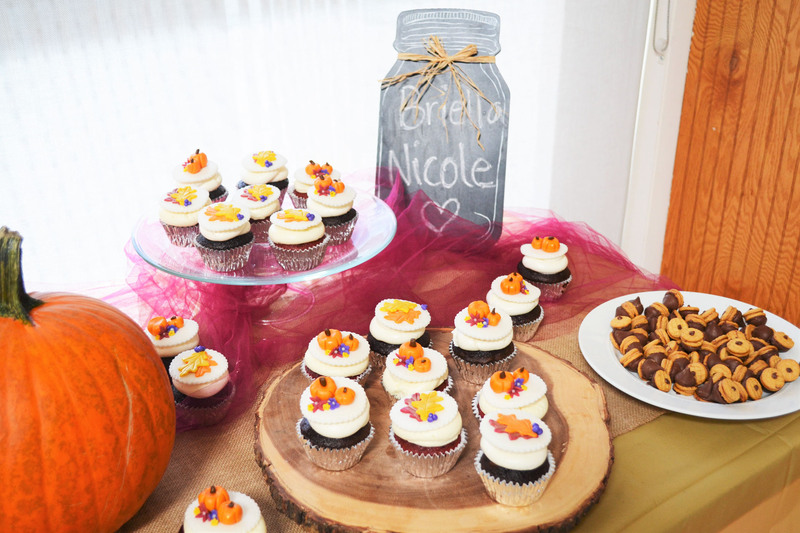 I made these for the shower but then put them around my house for my fall decor. They are super cute!